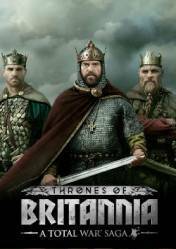 Total War Saga: Thrones of Britannia is the new installment of the Total War franchise, and this time it will place us in the year 878 A. D., the year in which the English king, Alfred the Great, has mounted a heroic defense in the battle of Edington, and has crushed the Viking invasion of the island of Great Britain. With the Vikings in a weak position, the Nordic warlords have settled throughout England waiting, regaining strength and concentrating their armies to gain control of the entire island. For the first time in nearly 80 years, the earth is in a fragile state of peace. We will have at our disposal a large number of Saxon and Viking factions: England, Scotland, Ireland and Wales on one side or the Viking factions on the other. Create treaties, make war and expand your domains across the island to take control of valuable resources. Thrones of Britannia is a separate game from Total War, so it is not necessary to have any previous delivery, in which we will have 10 playable factions, and in which we must build and defend a kingdom for the glory of the Anglo-Saxons, Gaelic clans, Welsh tribes or Viking settlers. Forge alliances, manage settlements, raise armies and compete for rich territories. In this installment, each faction will face a series of unique events and branched dilemmas, often based on authentic historical events and issues of the time, so as in Total War warhammer 2, each faction is played differently. Many provinces, politics, technology, recruitment, dilemmas, events of all kinds and much more, accompanied by a totally new and very attractive artistic design.